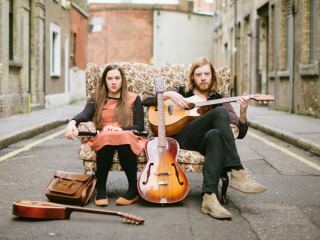 The 16th annual BBC Radio 2 Folk Awards 2015, broadcast live from the Wales Millennium Centre in Cardiff in front of an audience of 1,600, saw a host of folk music stars come together for an evening of recognition and show-stopping performances. Featured Song: "Pa Le?" from the Real World Records album "Tincian"
Pa Le means "Which place?" and it's a version of a traditional Welsh Folk song, although we have tampered a bit with the format. It is the only traditional song on the album. She's asking "where is my loved one?" and is worried it's so late. There are clouds over the moon, the wind is rising, and temperature plummeting. The lyric "Mae'r Pridd yn goch, ger twr y Llan" means the soil is red by the tower of the church, implying that the loved one is dead by the end of the song. Featured Song: "John Hill" from the Hereteu Records album "Never Forget"
John Hill married band member Sean Cooney's great grandmother Mary Jane in Sunderland in 1913. He died a year later with thousands of others in the opening months of the Great War and is buried in the little French town of Bailleul. Mary Jane eventually remarried and gave birth to another 11 children one of whom is Sean's Nana. Featured Song: "Never Ever Lay Them Down" from the Little Dish Records album "Sweet Visitor"
A song about urban life and love in an age of austerity, this combines the language of rural folk song with industrial imagery to reflect on the experiences of those who, like me, have recently made a northern English city their home. Featured Song: "It Would Not Be A Rose" from the Folkroom Records album "Nothing Can Bring Back The Hour"
'It Would Not Be A Rose' is an enigmatic search to define a feeling which is always elusive but tangible at the same time. It is centred around a riddle of absence that is similar in style to an old Child Ballad. Featured Song: "Rose Howard" from the Rootbeat Records album "Made In The Great War"
Sam Sweeney's 2014 project Made In The Great War tells the story of his violin, begun in 1914 and lost for almost a century; from a house in Leeds, through the Music Hall, to the Battle of Messines, Sam and storyteller Hugh Lupton tell the tale of an instrument with a profoundly moving tale. 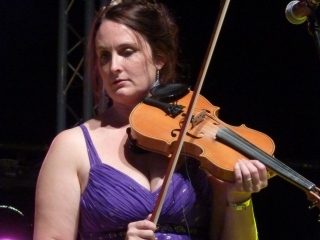 'Rose Howard', composed and performed with Rob Harbron, is named for the daughter of Richard Howard, who made the violin. 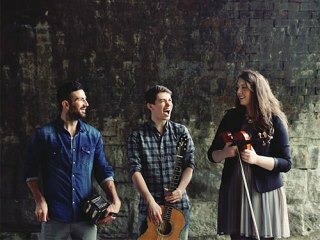 Talisk, aged 20 & 21, draw influences from their Scottish heritage, delivering their own interpretation of traditional folk music. Collectively the band have toured Europe extensively and played at prestigious venues and high profile festivals all over the country including the Royal Albert Hall, Glasgow Royal Concert Hall, Heb Celt Festival and Celtic Connections. 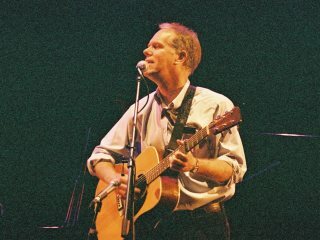 Featured Song: "God And Nature" from the Proper Records album "Haven't Got The Blues (Yet)"
'God And Nature' is from Haven't Got The Blues (Yet) - or HGTB(Y), for short - the 26th album in the long and illustrious career of Loudon Wainwright III. His songs have been recorded by Bonnie Raitt, Johnny Cash, Earl Scruggs, Kate & Anna McGarrigle, his son Rufus Wainwright, and Mose Allison, amongst others. Featured Song: "Swim To The Star" from the Red Grape Music album "Everything Changes"
Written by mother and son team Peggy and Calum, to commemorate the sinking of the Titanic. Several of the lines in the song are inspired by eye-witness accounts of the time, set within a lilting dream-like arrangement to echo the movement of a boat on the sea. 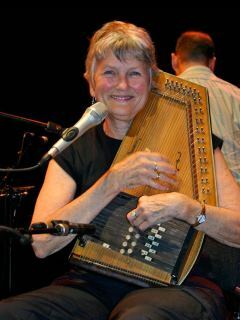 This year's inductee into the Radio 2 Folk Awards Hall of Fame has been Peggy Seeger's late husband, the hugely influential folk singer Ewan MacColl. The Hall of Fame exists to recognise the special contribution of an individual to the world of folk music; someone whose impact and influence has had a lasting impression. 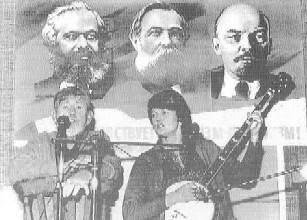 Ewan MacColl played a vital role in instigating the folk song revival in Britain. Throughout his career, MacColl produced around 300 songs and scores of albums, and 2015 marks the centenary of his birth. 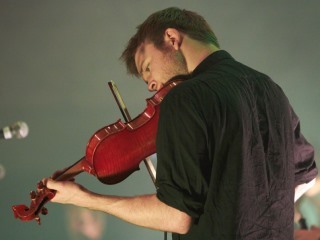 There was a special performance of Ewan’s hit song, The First Time Ever I Saw Your Face, by Elbow frontman and BBC 6 Music presenter, Guy Garvey. 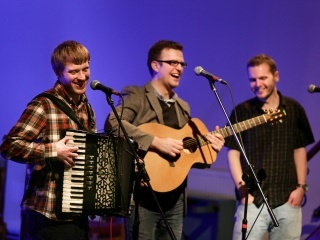 Guy performed alongside MacColl's sons, Calum and Neill, and his daughter-in-law Kate St. John. 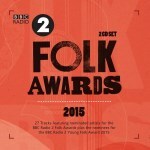 Photo Credits: (1) BBC Radio 2 Folk Awards 2015, (2) 9Bach, (3) The Young 'Uns, (4) Nancy Kerr, (5) Josienne Clarke & Ben Walker , (6) Sam Sweeney, (7) Talisk, (8) Loudon Wainwright III , (9)-(10) Peggy Seeger (unknown/website).